Erected by Ellison Sutherland in memory of her beloved husband. 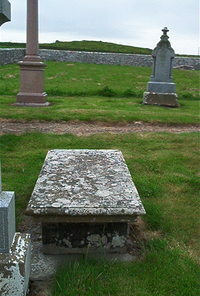 William Baillie farmer East Clyth died 8th February 1859 aged 68. Son Alexander Baillie drowned 24th April 1855 aged 14.